Many people ask my advice on how they should go about getting their baby to nap. It is important to remember that the number of naps, the length of the nap and the timing at which they begin all need to be considered when trying to master a successful nap schedule for your little one. 1) Putting baby to sleep before they become overtired. 2) Being put down for their nap at the same time as their biological sleep wave. 3) Having baby fall asleep independently and without props. Make sure their wake times are kept appropriate for their age. If a child is kept awake took long, they reach the overtired state which then makes it even harder for them to fall asleep. Always look for sleepy cues! Start watching for them after your child has been awake for just one hour. Also, there are overtired signs that often signal that we have missed their sleep wave. Always make a note of sleepy cues and overtired signs, what they were and when you saw them, this way you will know a time frame for when they usually pop up. Although considering how long your child has been awake is very important, so is knowing when their biological sleep wave will occur. Babies have natural rhythms that send signals to their brain to either be awake or asleep. Putting your child down at a time that does not coincide with their sleep wave is going against what their brain is telling them to do. Not only will it be a battle trying to get them to sleep, the sleep will not be as restorative and you will most likely have a cranky child on your hands when they wake from their nap. The third factor is easier said than done, but once your child has mastered falling asleep without help, they will be able to do so around the clock. Items such as a pacifier, lovey, and stuffed animals are considered “comfort items” and not props. 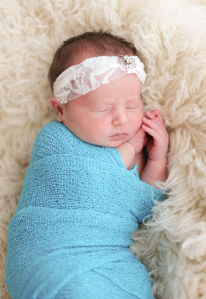 Comfort items are a great way to help your child fall asleep on their own. Make sure you are familiarizing your child with these items during their bedtime/naptime routine. When you go into their room to check on them, always place the item back in their hand and remind them that it is there. What is considered a sleep prop? A sleep prop can be anything from nursing to sleep, rocking to sleep or using motion sleep (car ride, stroller or a swing). 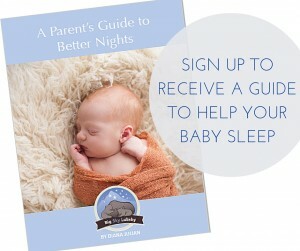 When a parent resorts to one of these methods to get their child to sleep, it might work for the initial put down but as soon as the baby goes from one sleep phase to the next, they will wake. Each time they wake, they will think that the strategy that got them to sleep in the first place must be repeated in order for them to fall back asleep. This is simply because they have not learned otherwise. There are also less obvious props such as lying with your child until they fall asleep, letting them hold your hand or stroke your hair while they fall asleep. I highly recommend using “touch” when teach your child how to fall asleep on their own but you must always remember that the parent controls the touch! Establish a consistent soothing routine that will take place for 15 minutes prior. Do not let them sleep in past 7:00 am . Do not let them nap longer than 3 hours. Make sure they are awake from their morning nap by 11am. Use an age appropriate bedtime!